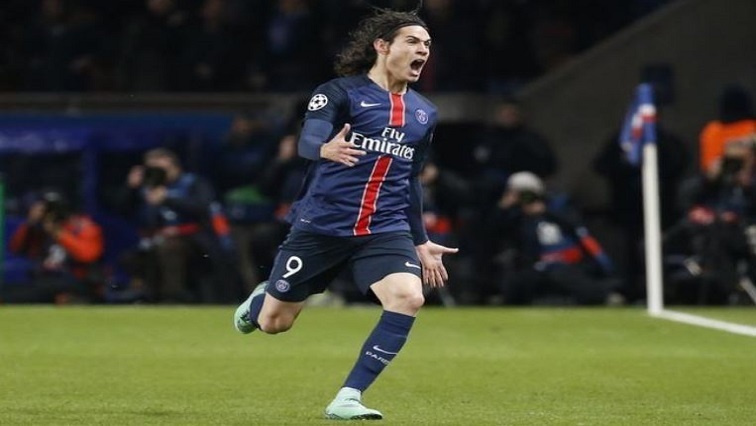 PSG confirm that Cavani out of Man United match - SABC News - Breaking news, special reports, world, business, sport coverage of all South African current events. Africa's news leader. [File Image] Paris St Germain v Chelsea - UEFA Champions League Round of 16 First Leg - Parc des Princes, Paris, France - 16/2/16 Edinson Cavani celebrates scoring the second goal for Paris St Germain. Paris St Germain coach Thomas Tuchel confirmed that the club’s record scorer Edinson Cavani will miss Tuesday’s Champions League match away to Manchester United. Uruguay striker Cavani, who has scored 192 goals for PSG, sustained a hip muscle injury in Saturday 1-0 Ligue 1 victory over Girondins de Bordeaux adding to the sides injury woes ahead of the last-16 first leg. PSG are already without Neymar, who was ruled out with a foot injury, leaving the French side with only Kylian Mbappe as a world class striking option. Fullback Thomas Meunier has also been ruled out. “You cannot replace quality players like this, Neymar is one of the key, key players in Europe and we miss him a lot and now we miss a second key player with Edi,” Tuchel told reporters on Monday. However, he did not expect the French league leaders to change their style of play. “We miss two key attacking players, but to change our identity for that? … I don’t know if it’s the moment. We are PSG, we are used to playing offensively and creating chances,” he said. Tuchel added that it was wrong to expect Kylian Mbappe to make up for the injured South American pair. “It’s not really his job to replace Cavani and Neymar, and he can’t do all three things at the same time,” said Tuchel. This entry was posted on 12 Feb 2019,06:34AM at 6:34 AM and is filed under Sport, Homepage Featured Story Slider. You can follow any responses to this entry through the RSS 2.0 feed. Both comments and pings are currently closed.